The architecture on the islands of the Aegean constitutes a phenomenon admired for its wealth and multiformity. Settlements that began to be built using simple means and humble intentions evolved into acclaimed works of art, with a completeness that is singular. The basic rules that were in effect during their construction—logic, economy, practical ways and respect for natural laws—in combination with the specific local factors and the historical fate of each place, led to the creation of villages and cities inextricably bound to the natural environment. Some islands of the Cyclades group constantly faced a problem of security that was disproportionately great in relation to the rest of Greece. Piracy, at times in remission, at other times on an upswing, forced the inhabitants to be on constant defence, under every regime and continuously from the Middle Ages up to and following the Greek Revolution. It was natural, then, that the architecture would assume a defensive character. The settlements were built in naturally fortified positions or around some castle, or the entire settlement would be squeezed into the narrow space of a fortress enclosure. The Venetians and the Genoese played a basic role in developments, making a systematic attempt to attain the defensive ‘armouring’ of their acquisitions in the second half of the 15th and beginning of the 16th centuries.  In the case of Antiparos, however, the settlement represents a completely distinct proposal in town planning. The Kastro of Antiparos, which was built by the nobleman Loredano, constitutes the settlement itself. It is a single, autonomous, residential unit. The whole complex was arranged around a square courtyard, in the middle of which rose a central tower. The base is what remains today of this tower. The perimeter was composed of 24 two-storey dwellings with a continuous, high external wall with a width of three metres, without balconies or large windows adorning its facade. Access to these houses with their marble doorframes was through the interior courtyard; and there was only one exit, on the southern side, secured by a Gothic gateway that has survived to this day. Later, 24 two-storey residences were built around this central nucleus, and this new quarter was named Ksopyrgo [outside the tower]. 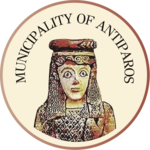 The Municipality of Antiparos and KEDA organize and realize a wealth of concerts, theatre performances and many cultural happenings in the area known as Kastro, in the village of Antiparos. For more information, consult the agenda of cultural events.